On Ebay I see a person selling them for $5..
Yep $4-5 is the current price for such rare switch, my hunting for a 5140 isn't quite a success. 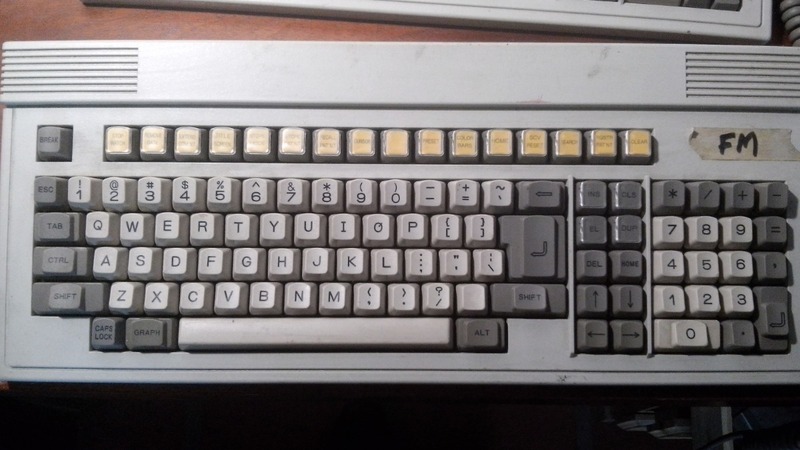 Was planning to swap it for the Fuhua-Alps simplified switches in a MatiasTactile keyboard. Got it for a good deal, 4-5 switches had chatter issues. Think I will combine it with some Alps Orange switches from an Apple keyboard to keep the cost down. Have a NIB black Cherry G81-3000HKNDE, which means a full set of NIB white on black double shot keycaps. How much would that be worth? Thanks! HKNDE is winkey, right? If so, it's not really a full set since the bottom row has offset stem positions and I'm pretty sure the spacebar has incompatible stabs. I'd say about 40 USD. Maybe someone is willing to pay a bit more for it.